Have you experienced an injury in the workplace? 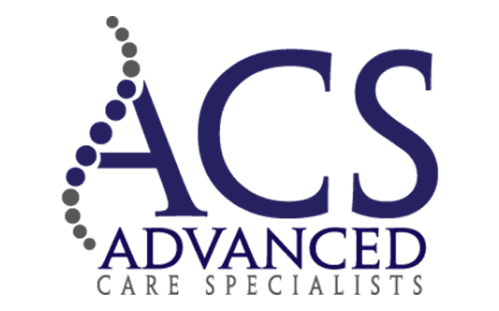 The staff at Advanced Care Specialists in Racine and Mount Pleasant, Wisconsin, can provide you with occupational health and wellness services to treat your workplace injury. Workers’ compensation ensures that you are protected after a work-related incident, and the experts at Advanced Care Specialists can guide you on the road to recovery and ensure you’re back on your feet and able to continue work. We Work For You, NOT Your Company! What are the common types of work-related injuries? A work-related injury can occur while using a company-owned vehicle and conducting work on behalf of your employer. Mental injuries like anxiety or depression may be covered if they were sustained on the job or caused by the job. A pre-existing condition worsened during the course of employment may be covered as well. How soon do I need to see a specialist after a work-related injury? If you suffer a work-related injury or illness, you may be entitled to receive workers' compensation benefits. The types of injuries covered by workers' compensation include physical injuries, illnesses, and some psychological or stress-related injuries. Advanced Care Specialists recommend you seek an evaluation immediately after a work injury. What are your rights through workers’ compensation? As an injured worker, you have the right to chose your own doctor even if your company sends you to the company doctor. Do not let your company force you to be treated by a doctor that does not have your well-being as the first priority.State law requires employers to have worker's compensation insurance for the workplace. No matter who is at fault for the workplace injury, the employee is covered under these insurance benefits. What is my responsibility when injured? Contact Advanced Care Specialists as soon as possible by calling for an appointment or booking one online so that you get quality individualized care for your workplace injury.